Yukihisa Murata joined QuadReal as Senior Vice President, International Real Estate, Asia in April 2018. His primary responsibilities include originating investment opportunities, structuring and financing transactions, and managing partner relationships throughout the Asia-Pacific region. Formerly a Deputy General Manager of Sumisho Realty Management, the asset management arm of Sumitomo Corporation, Yukihisa was responsible for structuring and sourcing outbound investment opportunities from Japanese institutions, particularly into North America. 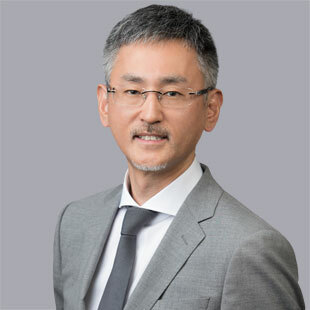 Prior to his time at Sumisho, Yukihisa held senior roles at CBRE Global Investors, and Lehman Brothers, where he engaged in a number of real estate investment and asset management activities throughout Japan and the rest of the Asia-Pacific region. He started his career with Long Term Credit Bank of Japan in 1991. Yukihisa received a BA from Sophia University, Tokyo. He is delighted to add to the diversity of QuadReal’s international real estate team and contribute to the performance of its global portfolio.